I don’t know about your family, but mine is a little obsessed with the big college basketball games held in March. In fact, my mother has a story about being in labor with my youngest brother on the night of the final game. He was born at 10:35 p.m. and she’ll let you know how much the doctors and my dad were paying attention to her…lol. Or did I mention the fact that both my father and husband have TVs in their office… mostly because of this one month of basketball games?! In fact, my Dad teases us that our oldest child is named after the Duke Basketball stadium, which happens to be Hubby’s favorite team. Do you know what this is? (hint: I call him C’Man on the blog). Enough with my stories. The games always require food while we watch. 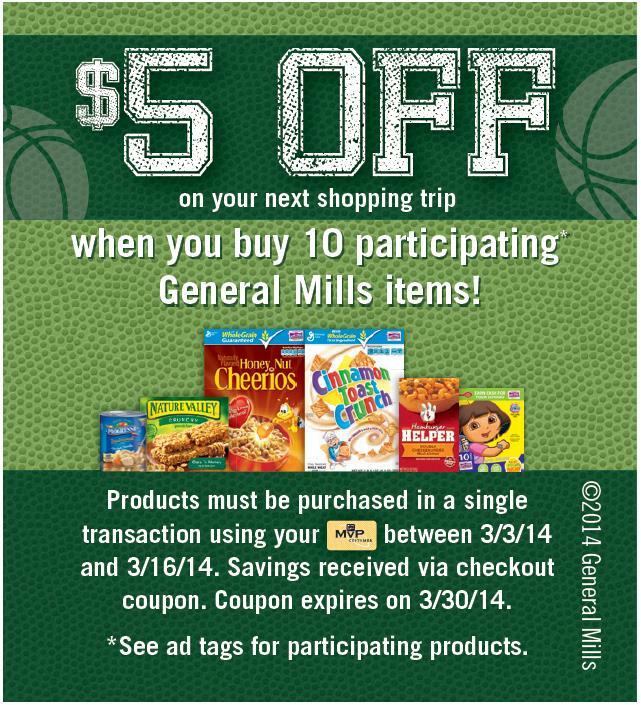 General Mills has partnered with Food Lion®for a big sale this month, so we are headed there to get some ideas! Nachos. We love oven baked nachos. Grab some chips and use some Old El Paso® refried beans and cover with oooy gooey cheese. yummm. Minion Munch Chex Mix. Remember this Despicable Me snack? Use Honey Nut Cheerios® and Chex® to make a fun activity for the kids to stir together! Make Your Own Sundaes. You can never go wrong with a little Haagen-Dazs® ice cream. Am I right? Add a little Cascadian Farms® granola on top! Breakfast for Dinner. Or save your granola to sprinkle on Yoplait® yogurt. Don’t forget to bake some Pillsbury® cinnamon rolls on the side. Right now when you head to Food Lion you can Get $5 Off Your Next Visit When You Use Your Food Lion® MVP Card & Buy 10 General Mills Products in One Visit! The $5 coupon will be printed out at the register to be used on your next shopping trip. There will be more than 150 products on sale! This offer is good from March 3rd – March 16th 2014. The items will have a shelf tag on them in the store AND there is a coupon available too! 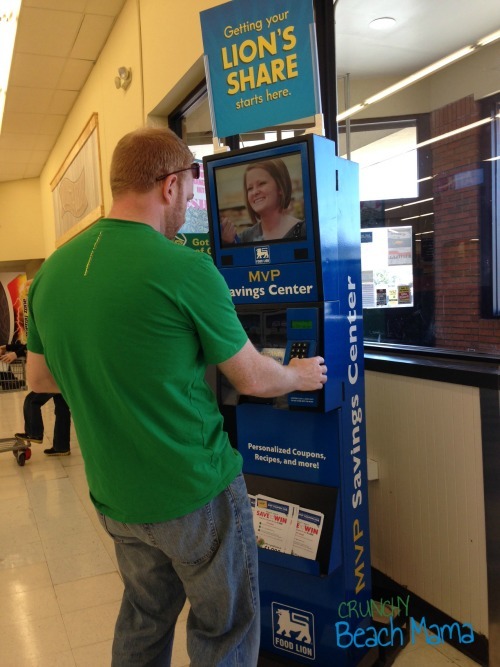 Have you ever used their MVP Savings Center? It is right inside the door and downloads coupons right onto your MVP card (which is on our phone!). Pretty cool! We saved over $8 on just the 10 or so items we bought. Check out Food Lion® deals on their website and follow on Facebook and Twitter. 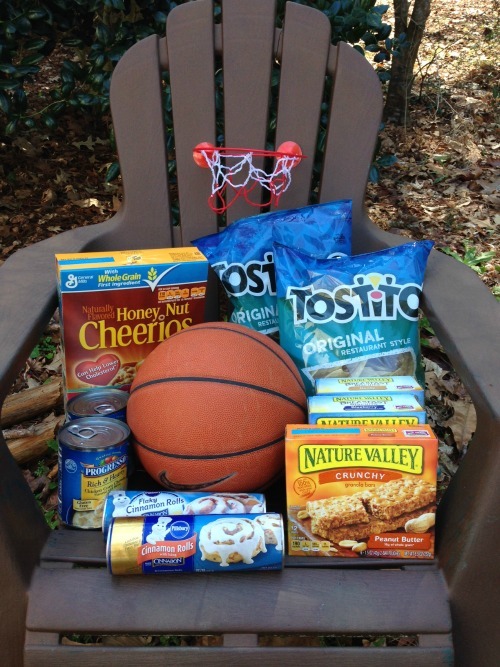 ​WIN $50 to Food Lion®! This is a sponsored conversation written by me on behalf of General Mills® via Burst Media. The opinions and text are mine. 500th Post! 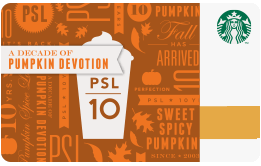 5 Winners for $5 Starbucks, Amazon, Paypal Giveaway! I love chicken wings for game day! I like chips and salsa. Thanks for the giveaway. We love watching the Univ. of MD play. The food we make for the game is chili dogs with everything. My husband and sons love basketball season. We love to have chicken dip and Tostitos while we watch the games on TV! Growing up I used to be a diehard college basketball fan....loved it! My mom and I used to watch and get SO tense!!! I don't think I've watched basketball in the 34 years we've been married, so maybe i'm not much of a fan anymore. My husband totally gets into March Madness! It's always fun to make predictions! I make homemade chips and its delicious! Can you say Cameron Stadium? ;) We pull for Duke as long as they're not playing NCSU Wolf Pack!! I love to make egg rolls, less messy than chicken wings! I'm watching college basketball right now, can't hardly wait until the tournament starts. I really don't watch basketball but I love snacking during the games. I like to try my luck at guessing who will win the games...just for fun. I think nachos are a great idea...they are perfect for just about any sporting occasion, or any other time. Thank you for the giveaway!! My husband loves college basketball, UNC. I enjoy watching it with him sometimes. 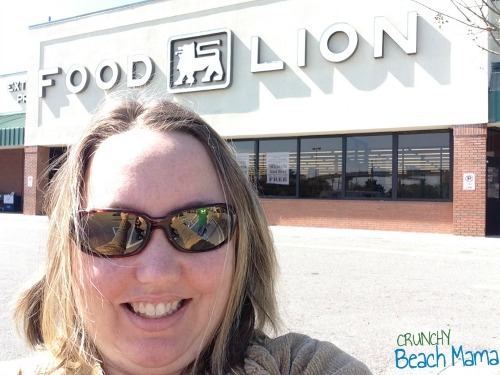 I do love FOOD LION :) There is one right up the road, so thanks for the chance to win ! I don't watch basketball, but I do like to snack on popcorn or nuts. Wings are still the best! I'm a big UNC Tar heels fan! Go heels! I'm not into basketball but I am definitely into all kinds of foods! My husband will be watching all the games, as usual. He loves to eat chili when he watches them. I love filling out the brackets for March Madness...I hope my hometown team goes all the way...we were undefeated at one point. I love March Madness. I don't have a favorite team but just love watching! We are huge basketball fans and March is a great month for us! We watch the ACC tournament followed by the NCAA tournament...eating our snacks from Food Lion all along the way! I love Foodlion. It's my favorite place to shop they have some off the best sales. I am not a big basketball fan more football but any reason to have a party is a good time for me! I'm vegetarian so my favorite March Madness game date food is buffalo cauliflower with blue cheese dressing! yum! Comment as you wish i like crunchy beach mamas..
Hey, hey, hey! Let's Go North Carolina State University WOLFPACK!! That's the team!! Want to know a secret? I've always wanted to be the Ms. Wolfie Mascott!!! Getting my brackets ready and shopping Food Lion for game treats! I like to buy snack foods like Cheetos, snack cakes, drinks, etc. We don't have Food Lion! I am missing OUT apparently! What yummy game day foods!!! I know it's March Madness but I do not watch basketball! I love guacamole and chips at football parties! Pizza and wings are great for any party!! I miss our March Madness party at work - we would rent a restaurant for a 1/2 day and have some appetizers and beer - yummy! Now we just get some pizza and stream it in our conferance room! On game day, we like nachos, guacamole, and chili! I love to have Chips and Salsa for the game. Also, Pigs N' A Blanket are also easy, quick and good for the game. I haven't followed the NCAA basketball tournaments recently, though I used to back when I was in school! I do know that nachos (with Tostitos) make for a great party pleaser! Plus, so many snacks are available in the frozen aisle that require very little time to cook, like pizza rolls or bagel bites! And there's always the home-made treats one can make, like cookies, popcorn, or chex mix! Sometimes going to the store can open up more options, like grabbing fresh produce (carrots, celery, peppers, etc.) and buying or making dip! Instant healthy snack! The only sport we watch is hockey. Chili in the crock pot! There's basketball in March? Lol, just kidding; I don't really follow March Madness. I do think having make-your-own tacos are a fun thing to serve during game day. We like homemade pizzas and hot wings at our home while watching basketball games . Did a bracket with coworkers this year so following basketball more this march madness season. Still can't believe Duke got kicked out in the first round. I am not a basketball fan but when it is baseball season we usually watch a few games and order in pizza. I love making a big batch of Chili, along with Tostitos and Sour Cream!! I am a huge basketball fan! I usually make a lot of Nachos while we watch the games. The only time we watch college basketball is during March Madness because we have brackets in a family challenge. I'm currently 5th in that one and 4th in another I submitted. Not bad for just guessing!! For a quick appetizer, I mix some salsa with black beans on the stove top until hot, spoon that into Tostitos multigrain scoops, sprinkle some cheese on them and put in the oven for a few until cheese is melted...then we top with sour cream or guac! Super easy! My Tennessee Vols are in the mens and ladies sweet sixteen! I made a bracket this year. I've done pretty bad so far. My favorite game food is nachos or chips and salsa. So simple, but so delicious. I hated to see Carolina drop out! I love to have chicken wings on game day. My family loves March Madness! This year's NCAA tournament was exciting.